Mansion Casino Review & Rating 2019: Is Mansion Safe? With more than ten years in the online casino gaming industry, Mansion Casino has established itself as a trusted iGaming platform. The casino is part of the Mansion Group, which is known as a leading worldwide corporation. To date, the Mansion Group has released several brands. The company aims to constantly improve products and services to ensure players get the best gaming experience possible. Their aim is simply to be the best brand on the market. At this current stage in development, Mansion Casino has recently signed deals with football teams AFC Bournemoth and Crystal Palace FC, ensuring exciting new projects are on the cards for the year ahead. Choose from a wide variety of games at Mansion, including online blackjack, roulette, craps, live casino, video poker, arcade games and slots. Also, enjoy great join up bonus and VIP benefits at Mansion.com, as well as a user-friendly interface, comprehensive customer service and great gaming options. Overall, Mansion could just well be the complete package. Mansion Casino offers new players a lucrative welcome bonus offer of up to a total of £5,000 for high rollers and up to £500 for the standard offer without any Mansion Casino bonus code required. The way the Mansion casino deposit bonus is structured is that it requires players to deposit a minimum of £10 to receive the standard offer of 100% up to £500 and anything deposited above £500.01 will receive the 50% match up to £5 000. 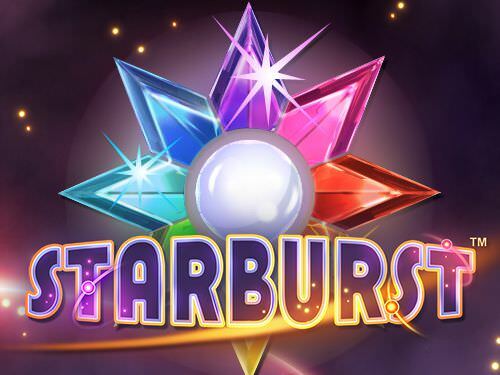 All bonuses are added automatically, following a deposit and may be used to play on all games as advertised by Mansion Casino. There is of course, no Mansion Casino Promo Code needed to take up any of the above two offers and players may simply deposit funds to their gaming accounts using their preferred method of payment. It is good to note though that different games contribute to different rates in reducing or contributing to the wagering requirement of these bonuses. Another factor to bear in mind is that the above bonuses have playthrough requirements attached to them, in which a player should be able to meet in order to withdraw. The standard welcome of offer of 100% up to £500 should be played through at least 20 times the bonus and deposit and the high roller of 50% up to £5000 should be played through at least 15 times the deposit and bonus. To find bonuses that offer different playthrough requirements, check out our casino bonus comparison. 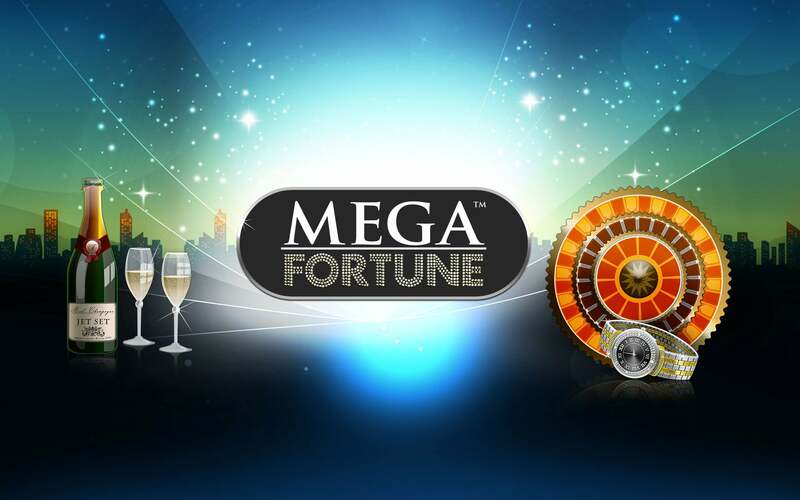 As per our Mansion Casino rating, we believe that this offer is quite competitive compared to most online casinos within the market and therefore scores high on our casino review. Just make sure you read the terms and conditions first. During our assessment of our Mansion Casino test, we found the operator’s site especially easy to use in terms of finding important information such as promotions and top games. Further to this, it can be said that the loading times are minimal, even on a fairly slow connection, and games were easy to find, load and access. The site’s layout is minimalistic and simple, making it a breeze to login and play, as the games are loaded within the casino lobby for ease of navigation. The site has a very versatile and direct approach with regard to navigation, although, being filled with various links, offers and bonuses. From a user’s perspective, we found it relatively easy to roam around having to only click once to move from one tab to another. This greatly adds to the user experience ensuring effortless maneuverability within the realms of the online Casino’s offering. In addition to this, our Mansion Casino test reveals to us that the deposit and payout system is easy to find, with a descriptive layout allowing for less time spent scouting for the banking hall. In terms of usability, the site is very well structured and we have yet to scurry for the support assist section making it a perfect fit for even beginners entering the iGaming industry. At first glance during our Mansion Casino review, the site is quite appealing with its black background and hints of red that gives it an elegant, classy look and feel without being overdone. This shows that much care was taken into the actual graphics selection that compliments the structural layout creating a very alluring and inviting contrast. By using predominantly darker colours with soft shading and glows, renders the casino quite soothing to the eye, considering you may end up spending hours exploring the vast offerings. Mansion Casino also took care to play with “white space” which is the gaps between information which allows them to display everything yet keep the site looking “light-footed” yet weighted with lucrative offers. During our Mansion Casino test, we used two different internet connections to gauge how the site would perform under variable conditions. To our surprise, we encountered minimal difference in loading times of various games as well as no lag across the site navigation as a whole. Overally, the site is quite responsive even when using mobile platforms. Games power up relatively quick and browsing from page to page takes place only in a matter of seconds. The casino is compatible and runs with all internet browsers, so therefore new players that are using Internet Explorer, Chrome, Safari or Mozilla Firefox, should have no issues firing up the casino. Players can choose from a wide variety of games at Mansion Casino, including online blackjack, roulette, craps, live casino games, video poker, arcade games and online slots. The games are developed by software giant such as Playtech where players may find an array of popular titles including: Iron Man 2, Tennis Stars, Gladiator, Elektra and Fantastic 4. Blackjack is one of the most popular games at online casinos and Mansion Casino has a delectable suite of variations of the game to choose from, giving players a whole new aspect of the game. Playing blackjack online has the advantage of being able to play whenever and wherever you like. The slots at Mansion Casino come in a grand variety, where players can select from classic slots, video slots, multi-spin slots as well as progressive slots. The games sport varied betting options, themes and graphics and different playing styles, making the game an attraction for a wide variety of online players. Mansion casino may be played from most mobile devices. And it also optimized to be played as a downloadable app. The app may be found on the Apple iTunes store and may be played on both the iPhone and iPad. Alternatively, the games are accessible on the Android platform as well with scope for low minimal requirements, makes it easy to play at Mansion Casino regardless of your mobile platform of choice. 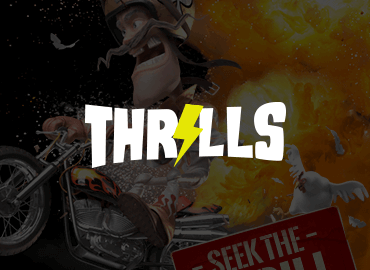 The games run smoothly on both the download version for mobile as well as on the native browser on a smartphone devices. Here is an image of the game, Jacks or Better, that shows how crisp the graphics are displayed on the iPhone for the Mansion casino app. The customer service sector at Mansion casino is above par with trained customer service professionals available to assist 24 hours day, 7 days a week. Players may easily get in touch with the Mansion Casino support team by calling +44 208 1660060, live chat, or via email to [email protected]. The email support team is fairly responsive, having sent a reply within under 1 hour. This may depend on the volume of queries floating in the email queue though we give Mansion casino a thumbs up in this regard, not only for being quick in response, but also for being friendly, engaging and knowledgeable on casino player related queries. Mansion Casino attempts to process transactions relatively efficiently. Their policy is to protect players against online fraud and thus it is required that players verify their identity with KYC documents before a cash withdrawals are made. KYC documents required may be scanned or taken as a picture and sent to [email protected] for verification. Accepted file types are JPEG, PDF with a maximum file size of 1MB per attachment and a 10MB limit per email. Mansion Casino takes safety very seriously and makes the safety and security of players’ data a priority. The site uses a 128-bit encryption to ensure that all its players are fully protected and that their information remains highly confidential. Moreover, the Mansion Group of companies are regulated by the law of Gibraltar. This intensely regulated e-gaming authority is recognized internationally for its high standards across the iGaming industry. It is useful to note that due to strict anti-money laundering requirements, Mansion Casino may request at the discretion of casino management, one or more forms of documentation to verify identity as stated above. If verification documentation is not received for an uninterrupted period of up 6 months upon the request, a player’s active casino balance will be removed and the account will be closed. The return to player margins (RTP) is an important factor to note when looking at playing at Mansion Casino. The current and most recent payout ratio is at a high 98.12%. The payout margin is a result of all games across the board and is based on 3-6 months worth of data at the casino. So having said that, the payout ratio at Mansion casino will look at the collective data of slots, table games, live casino and other games hosted by the brand. The casino is also monitored by regulatory bodies such as the government of Gibraltar, where it holds it gaming license. Another aspect that does not go unnoticed during our casino testing is the table limits as per the casino. Roulette has an average minimum bet size with a range of £1 up to £5. Maximum betting limits at the tables have a value of £300 and stretches as far as £5000. These values and limits are dependent on the table game chosen and are updated daily. Blackjack minimum wagers are at a low £1 on some variants and £10 on more advanced versions of the game. The maximum betting limits in this case for blackjack games is at a figure around £5 000. Our Mansion Casino opinions extend as far as rating the operator in high regard. Mansion Casino players become VIP members by fulfilling certain requirements such as attaining a certain amount of loyalty points plus deposits within a set period. 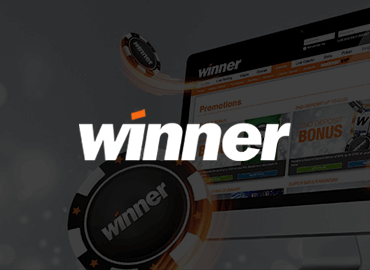 It is important to check loyalty balances in this case as an accumulation of 20,000 loyalty points and an aggregate of a minimum of £2,000 deposit value since registration, scores players the opportunity to attain VIP status at the casino. The loyalty points are generated automatically upon each real money wager and may be redeemed for cash bonuses. At the end of each gaming session, the loyalty points balance will be uploaded to players’ gaming accounts. The loyalty program is tiered with 5 progressive levels ranging from Bronze, Silver, Gold, VIP and VIP Elite, in this particular order. The Mansion Group extends its brand offering with an additional product within the sports betting industry. Players may expect the same quality of graphics and usability as the casino when embarking on playing Mansion Sports. With a huge variety of markets available, across a number of sports, it’s a great place to take a break from the tables. Sports betting available if you'd like a change. All in all, Mansion Casino is a trustworthy, highly experienced operator with a great selection of games and payment methods. According to our Mansion Casino test, being a highly regulated entity means the chances of online fraud or money laundering are severely limited, making Mansion Casino a safe bet. There is an extremely wide variety of games to choose from, and a very user-friendly site, especially in terms of loading time which makes the site a must visit. Which experience have you acutally made with Mansion Casino?